DAYTONA BEACH, Fla. (Sept. 25, 2012)– NASCAR announced today the NASCAR Sprint Cup Series schedule for the 2013 season, a highly anticipated campaign that will welcome redesigned race cars to the track. Though unveiled and tested throughout the 2012 season, the new models – Chevrolet’s SS, Ford’s Fusion and Toyota’s Camry – will make their official entrance into NASCAR Sprint Cup Series competition on Feb. 16 with the preseason non-points Shootout at Daytona International Speedway. Qualifying for the “Great American Race” will take place on Feb. 17, followed by the season-opening 55th running of the Daytona 500 on Feb. 24. The 2013 NASCAR Sprint Cup Series schedule, marking the 65th season for NASCAR’s premier series, will have a familiar feel, opening with the Daytona 500 before moving west to Phoenix International Raceway (March 3) and Las Vegas Motor Speedway (March 10) for races Nos. 2 and 3. For the third consecutive season, NASCAR’s playoffs – the Chase for the NASCAR Sprint Cup – will start at Chicagoland Speedway, near one of the country’s biggest markets. The Chase will conclude with the season finale on Nov. 17 at Homestead-Miami Speedway. With Kansas Speedway’s repave project now complete, next season’s Talladega Super-speedway autumn event will return to its traditional spot on the calendar. Talladega’s 2013 Chase race, No. 6 during the 10-race stretch, will run Oct. 20. Kansas will host its 2013 Chase event on Oct. 6. 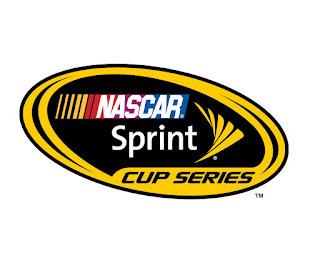 Below is the 2013 NASCAR Sprint Cup Series schedule in its entirety. I've been able to register at the first leg on the shootout! Its quite a big deal for me to join such a prestige race. Thanks to the auto loan for bad credit plan that I applied for. I was able to customize my stuff and be competitive because of this. Someday I'm gonna participate in NASCAR! Right now I'm refining my driving skills. The used cars in long island has been a helping hand because they got quality, well conditioned used cars that are available on a very price and that helped me a lot in the financial aspect. Thank you for your nice sharing. I like to see the car race. And I used to do it with my friend in my free time. I wish I could performed here.